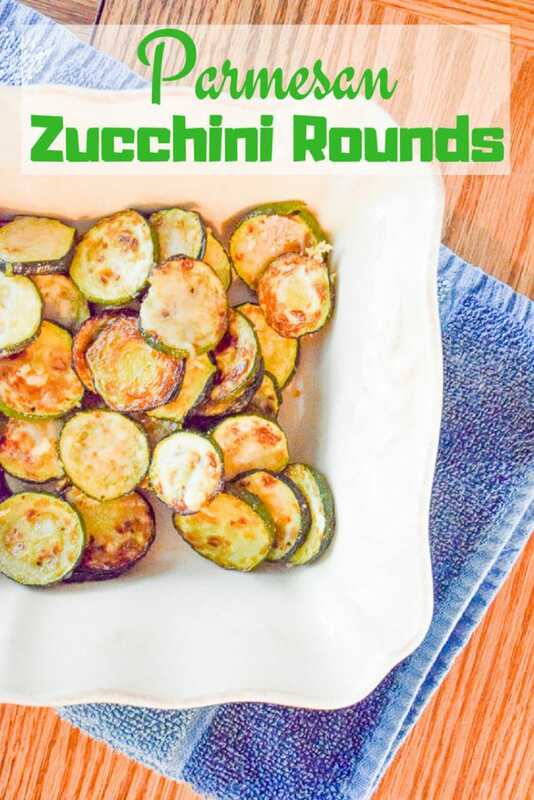 Make these super simple recipe for parmesan zucchini rounds as your vegetable side dish tonight. They are crispy, cheesy, and oh so good! Good luck eating just one. There was a time when I thought I didn’t like zucchini. I think this recipe for parmesan zucchini rounds was the recipe that turned me around (also this cornbread recipe). They just come out so tender from the oven. The parmesan cheese is perfectly salty and crispy after being broiled on top of the zucchini rounds. It almost feels wrong to call them a vegetable side dish. But you do need this easy summer side dish in your life. I promise. Also, make more than you think you need because your kids will probably gobble them up, too. 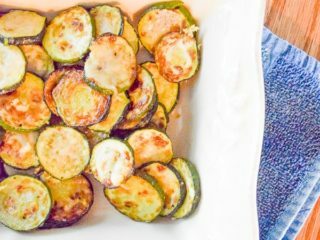 It took a little convincing to get my kids to Just Try Them but they loved them once they finally tasted these delicious parmesan zucchini rounds. They also love these zucchini fritters. If you really don’t like zucchini or want to just switch things up, then you can totally use summer squash in this recipe. You can also do half zucchini, half summer squash for a more colorful summer side dish. The cook time stays the same. Some recipes for parmesan zucchini rounds advise baking the zucchini with the cheese on top. I have found you get crispier cheese if you bake the zucchini until fork tender first and then broil the cheese on top. That quick dose of heat over the parmesan cheese makes it perfectly melty and golden brown. 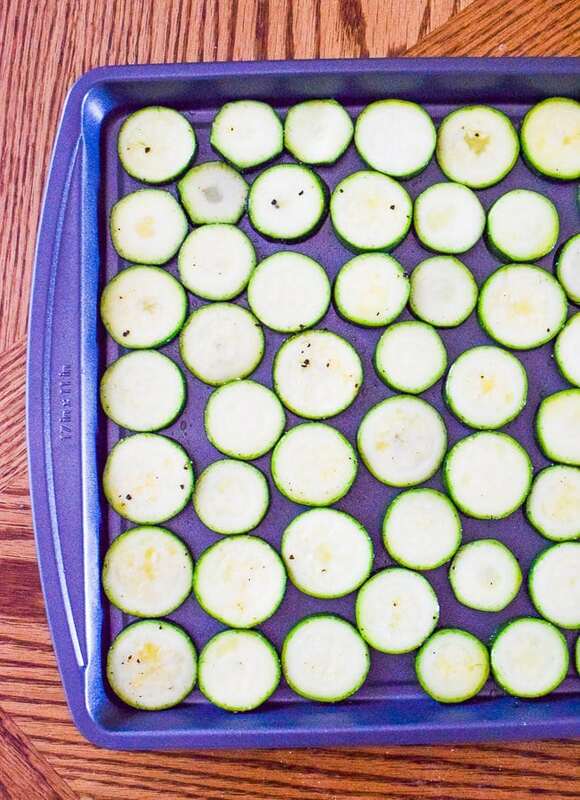 Arrange sliced zucchini rounds in a single layer on a cookie sheet. Brush with olive oil and sprinkle with garlic powder, salt, and pepper. Bake for 20 minutes, until fork tender. 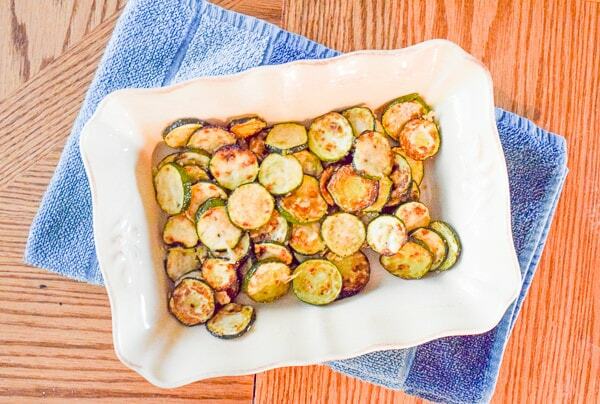 Remove zucchini rounds from oven and set the oven to broil. Return them to the oven just until the cheese is melted and golden brown, about 30 seconds. 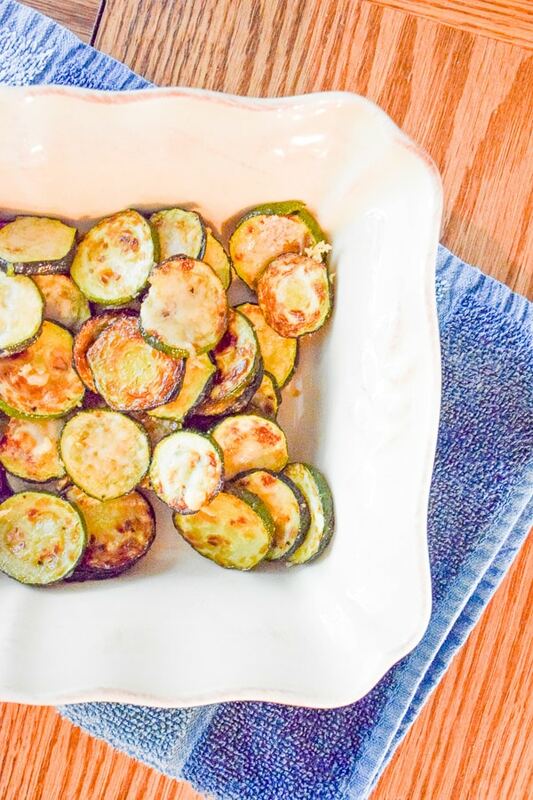 Parmesan Zucchini Rounds continue to be one of my favorite summer vegetable side dishes. I hope you enjoy it, too!